Looking at how the next generation of technology, and the generation after that will change financial services. I spend much of my time working on payment systems and have strong interests in blockchain, machine learning, and high performance computing. My background is engineering and application development. As part of the Technology Leadership in the Bank I have to keep a practical focus, and I also work with those developing policy. 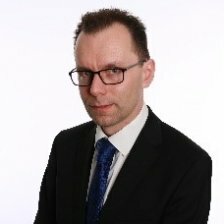 I’m chair of the Hyperledger trade finance special interest group which combines the opportunity to build a better understanding of real-world problems with a chance to contribute to the wider tech community. Afternoon keynote: Bank of England, Payments and Fintech, what next?